In the West at least the New Left was once a great movement, finding Marxism exciting and full of promise, desiring to change the world in a way that seemed possible at the time. But they have since become older, more fixed in their ideas, and filled with nostalgia. Since they are still able – through their privileged positions – to control debate, they are now often a hindrance rather than a help, throwing up one roadblock after another. The key roadblock is what I call a revolutionary romanticism that is often based on a version of Trotskyism. This has a number of ramifications, especially the debunking of any past revolution, usually through some narrative of betrayal; the use of “Stalin” as a cipher to stifle discussion; the assumption that we stand “before October,” before the revolution; a denigration of Asian communism; and a nostalgia for Western Social-Democracy, if not a Bernsteinian position. Let me take each one in turn. By revolutionary romanticism I mean a belief that the true revolution has not yet come. It may take different forms: that revolution still-to-come may be one that ushers in a true form of communism, one that had not yet been realised; or it may be a world that is so qualitatively different from the one we know that we do not yet have the language to speak of it properly. These positions implicitly assume that communists are in some sense perfect, that they do not make mistakes once they have seized the reins of power. It is particularly characteristic of the followers of Leon Trotsky, the man who refused to fight for the leadership of the Soviet Union at the crucial period after Lenin’s death. Trotskyites are in a perfect position: their man was central to the success of the October Revolution, yet his ideas were not realised. Should they have been realised, the USSR would have followed a very different path. It is a form of counterfactual history, an “if only” position that has never had to suffer the test of actual practice. 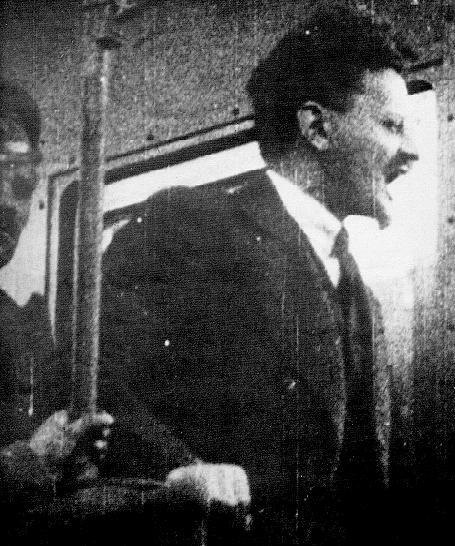 Trotskyism became popular in the West during the bitter standoff between Stalin and Trotsky after Lenin’s death. The result was that if one is not enamoured with Stalin, then one is a Trot. For the New Left of the 1960s and 1970s, Trotskyism became a default position, a championing of an alternative that had not yet been realised. The upshot of such a position is that any revolution – and there have been many – has undergone a process of betraying the ideal. Usually, the idea of betrayal follows what I call a “fall narrative,” the paradigm of which is the story of “fall” of the first human beings, Adam and Eve, who as a result were banished from paradise (Genesis 2-3). For romantic revolutionaries it takes the form of a narrative in which, at some point or other, the evolution was betrayed. For some, Lenin already did so, opening up the path for the “totalitarian” state in the USSR. If not Lenin, then definitely Stalin, who would have killed Marx himself, had he been present. As for Mao, the fall may be with the Cultural Revolution, when he finally lost his head. Or it is the turn “to the capitalist path” after the end of the Cultural Revolution. The many communist countries in Eastern Europe or in Asia also suffer under this fall narrative, for they were and are hollow shells, paying only lip service to Marxism. A little more concerning Stalin: for his name has become a cipher for such romantic revolutionaries. I have been at congresses where the very mention of Stalin’s name in a slightly positive way produces both laughter and a howl of protest. It is the line in the sand, the Shibboleth that defines one’s position very clearly. Stalin is the embodiment of all that has gone wrong with communism, to be avoided at all costs. He was a stupid thug, tyrant, manipulator, hopeless leader – in short, a travesty of Marxism. The assumed starting point for any analysis thereby becomes: Stalin was bad, so we must avoid at all costs anything that resembles his policies and acts. But why is Stalin a cipher? It seems to me that his name designates for romantic revolutionaries the moment of betrayal of all revolutions, the moment of the fall. Needless to say, this ritual invocation of “Stalin” is a massive roadblock to any serious assessment of past revolutions, any honest search for what may be learned and taken up for current work. To be sure, Stalin made many mistakes, some of which exacerbated the problems of the global communist movement. But war historians have shown that he was indispensable to the victory over Fascism in the Second World War. Economists have pointed out that an almost fully developed communism was implemented during his time, providing resilience during war and peace that was far tougher than capitalism. I am not a Stalinist (whatever that means), but if we cannot seriously and honestly discuss Stalin then we cannot assess and learn from any other communist revolutions. Furthermore, I have noticed again and again that Western Marxists of a romantic bent assume we are all positioned before the revolution, that we are still struggling for the seizure of power. In many cases of course this is the case, especially in a West that has not yet had a successful revolution. 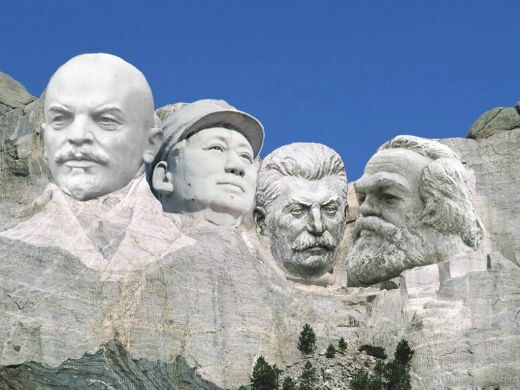 By successful I mean one that has managed to fight off the forces of counter-revolution and emerge on the other side, with some space and time to begin the process of constructing communism. But being “before October” has a significant downside. It prevents one form considering the most interesting and difficult task, which is what one does after gaining power. Lenin observed repeatedly that winning a revolution is the easy part; far, far more difficult is the process of building communism. This assumption means that it becomes impossible to appreciate the mistakes and gains of existing communist states, especially in Asia. China, Vietnam, Laos, Nepal, and especially North Korea become travesties of communism. It follows that any insurgency, such as the one in the Philippines, is also a travesty and not worth serious consideration. I find it very difficult to believe that nothing can be learned, that those starved for examples of how to construct communism cannot gain from assessing Asian communism. Finally, I have noticed of late what appears to be a contradiction among some romantic revolutionaries. 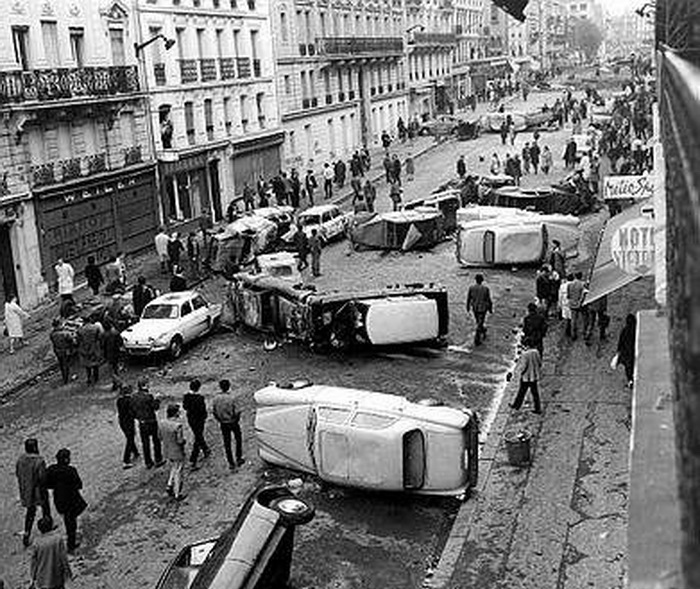 Alongside the assumption that the true revolution is yet to come, they have also begun to be nostalgic for Western Social-Democracy as it was when they were young. Social-Democratic governments, they argue, produced states that were usually better than any communist state. They had “universal” welfare, near full employment, and free education. It may be Scotland, France, Scandinavia – so much so that you still hear people from such places claiming that they had “socialism,” a socialism better than anywhere else. This would have to be the oddest assertion I have heard for some time. Not only does it neglect the fact that such political parties and governments operated within the framework of bourgeois democracy, but it is a revival of the arguments of Eduard Bernstein (1850-1932). He infamously argued that workers could persuade the bourgeoisie of the benefits of Social-Democracy, to which they would then turn in grateful acceptance. All one need do is use bourgeois parliaments to achieve the necessary reforms and proceed to a mild form of socialism via evolutionary means. Bernstein liked to think that the tail would wag the dog, but the reality is that the dog was and is firmly in control of the tail. And if we consider the history of communist revolutions, then the bourgeoisie and capitalist states never benignly accept those revolutions. They use all means in their power to foster counter-revolution and close the communists down. Earlier, I mentioned that this neo-Bernsteinian position seems to contradict revolutionary romanticism. However, at a deeper level it is thoroughly consistent. If you hold that the perfect revolution is yet to come, then eventually that hope will be disappointed. And since you can’t accept any actual communist revolution, all you are left with is a dejected effort to validate social-democracy. So let us remove the roadblocks of the Old New Left and their hangers-on. The Left now has a vast storehouse of revolutionary experience and reflection in order to bring more of that world about. I am not starry-eyed about this, however, for that experience includes positive and negative experiences, insights and profound mistakes. The value is that we have more than enough to learn from the work of others who have gone before us. This intervention was first triggered by a discussion I had a little while ago with someone from the older generation of the German Left (I mean the generation past 60). She told me that the Left needs new ideas, since the old ones are losing traction. But when I said that younger people are far more radical than she and her ageing comrades, she shook her head and looked apprehensive. Not too radical, she observed, not too radical. But that is precisely it: they are more radical and are prepared to crash through the roadblocks and revisit questions the Old New Left has ignored for too long. The writer is a left-winger from Australia, based in the industrial city of Newcastle. His main interest concerns the intersections of Marxism and religion, having written a five-volume series called The Criticism of Heaven and Earth (Haymarket, 2009-13). He has recently completed a long study on Lenin and religion. He frequently visits Asia and will take up a position as professor at Renmin University of China (Beijing) in 2014.